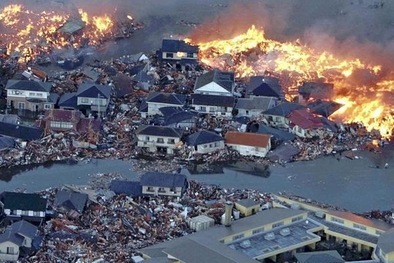 Will Survive in a Natural Disaster, Terrorist Attack, or Economic Collapse?…. ﻿Every day you turn on the news to hear about hurricanes, wildfires, terrorist attacks, disease, and wars. There’s nothing worse than the panic that comes from facing a disaster with no supplies, no plan, and no survival skills. …it’s overwhelming to consider the huge number of supplies you need. …you don’t know where you’ll put a large stock of food and equipment in your small home. …no one else you know is doing it. Would you like to have a simple plan to help you prepare for a disaster before it happens and finally be able to sleep soundly at night knowing that your family will have what it needs and be safe? 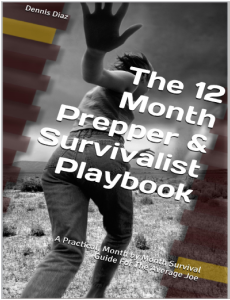 How Is the The 12 Month Prepper & Survivalist Playbook Different? Many survival guides expect you to put everything together, but they don’t spell out exactly what you need to do and how to do it in small steps. With the 12 Month Prepper & Survivalist Playbook, you’ll get a step by step plan for survival preparation. If you follow everything in the guide to the letter, you’ll have most of what you need for a short crisis or a long-term survival situation. You’ll get specific instructions about what to purchase or collect, how much of it to store, and how to store it. With the 12 Month Prepper & Survivalist Playbook , you can tailor your timeline to suit your needs. With the 12 Month Prepper & Survivalist Playbook , you’re going to learn to change your mindset from one of panic and procrastination to one of strategy and preparation. How Much Does the 12 Month Prepper& Survivalist Playbook Cost? That’s why I don’t want to make you go broke in order to help you learn to prepare for disaster. You’re going to pay a one-time fee of only $47 to get full access to the complete 12 Month Prepper & Survivalist Playbook – and you don’t even have to leave the comfort of your own home to get it.